Photo by Matthew Owen for Annie's. Used by Permission. Happy Monday! Just got my "Spring Fest" batik quilt which was published in the Spring 2017 issue of Quilter's World. So glad to have it back! 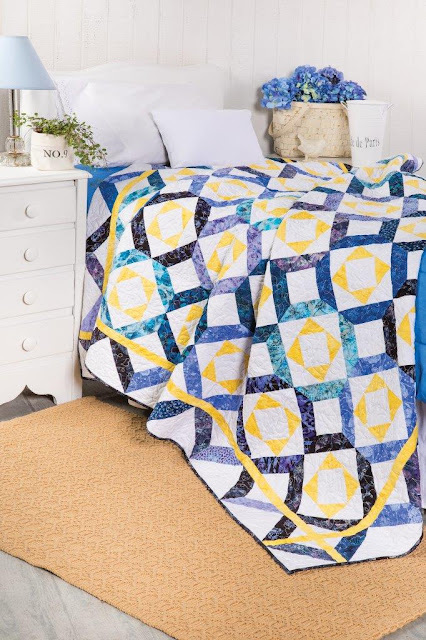 I loved working with Hoffman Fabric's batiks! This quilt features the Blue Hawaiian Bali Poppy collection with a wonderful palette of blues and lavenders, against a background of their Snow batik. 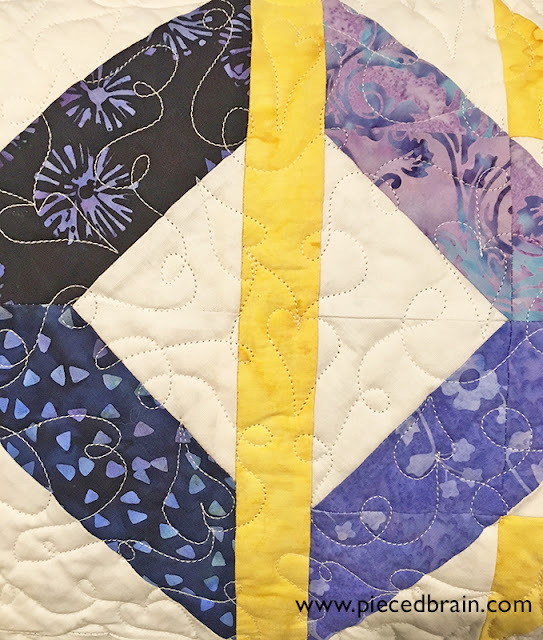 The yellow is reminiscent of the center of the flowers... 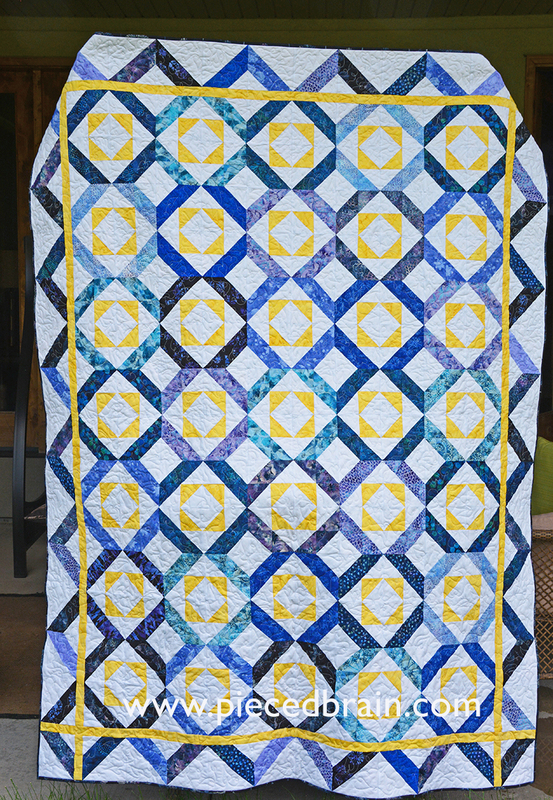 I assembled the blocks using the Strip Tube ruler so the quilt comes together really fast. Look at these textures below! I free motion quilted it (long arm machine) with a simple motif of loops and hearts. Today is a rainy, gray day here - I am keeping this beauty in my office so I can feast in its colorful batiks. 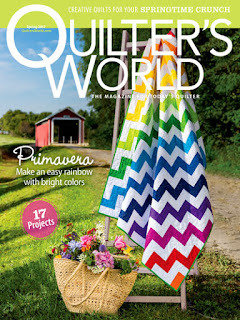 You can find this pattern in Quilter's World, along with other super fun and easy patterns to make.